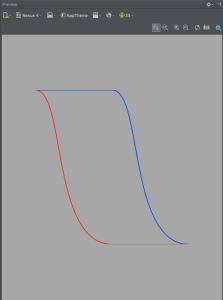 A PathInterpolator takes an SVG pathData parameter which describes a mapping function of the form y = f(x). That sounds rather complex, but it is actually much simpler than it sounds. Effectively it is a square canvas which is one unit in each direction from 0,0 to 1,1. 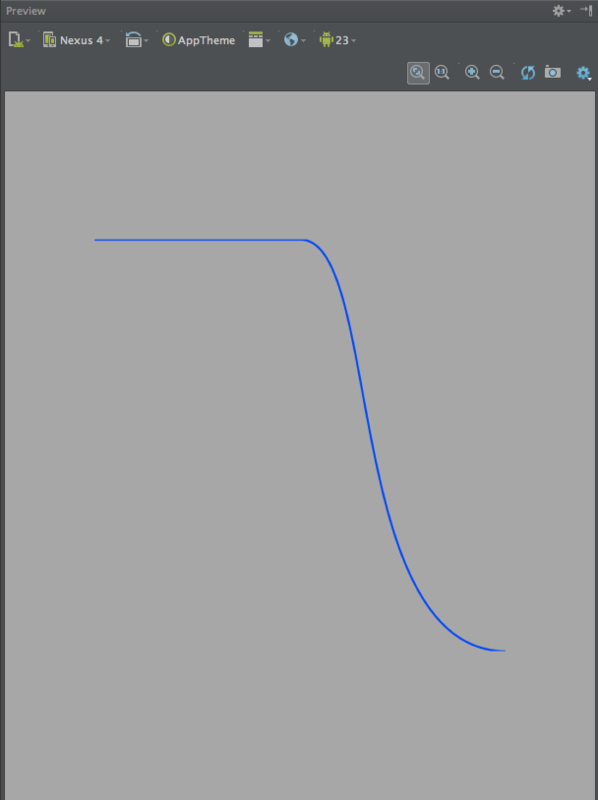 The PathInterpolator works by returning the y value for any given x value. The input values range from 0.0-1.0, so there only stipulation is that each possible value for x can only map to a single value of y – the path cannot double back on itself in the horizontal plane in other words.